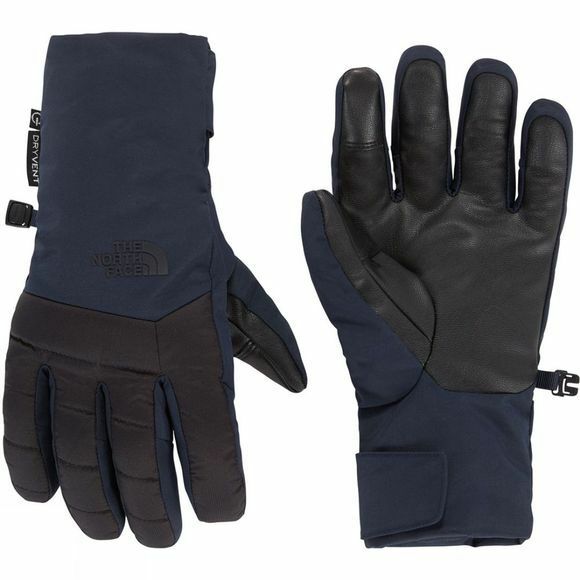 Designed to deliver warmth, comfort and protection on the slopes, this versatile alpine ski glove keeps you warm where it matters most. Fourchette-box finger construction combines with lightweight Heatseeker™ insulation to keep your hands toasty all day long. Etip™ functionality means you can keep your gloves on while you use your touchscreen device to take a photo or type a text message. A breathable waterproof DryVent™ insert keeps your hands dry while wicking away moisture, and removable wrist leashes hold your gloves in place if you take them off.